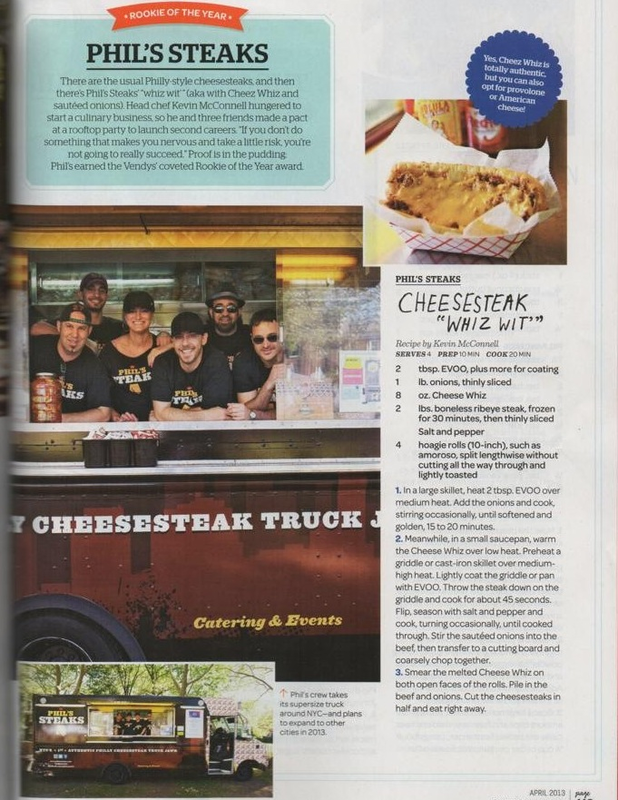 News › Phil’s Steaks ‹ NYC’s First Authentic Philly Cheesesteak Truck Jawn. NYC’s First Authentic Philly Cheesesteak Truck Jawn. 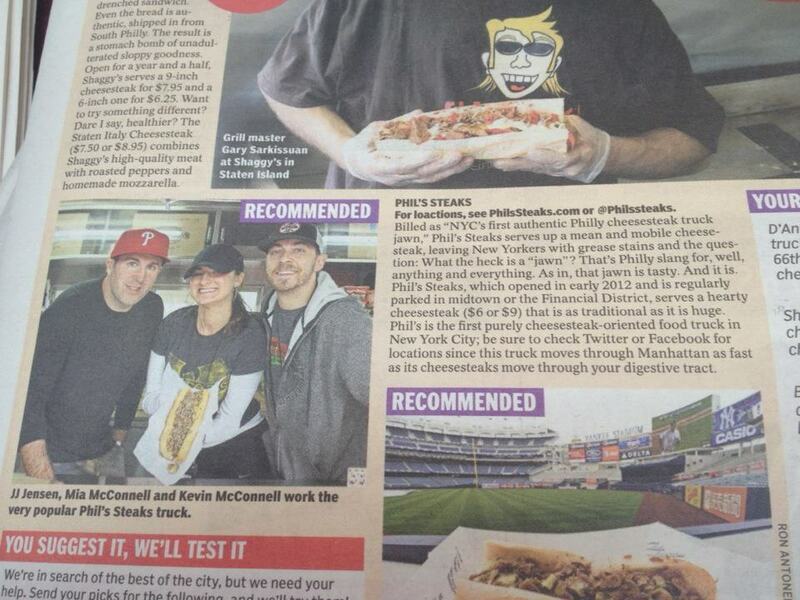 See what the people are saying about Phil’s Steaks online and in the press! Phil’s featured in the NY Daily News! 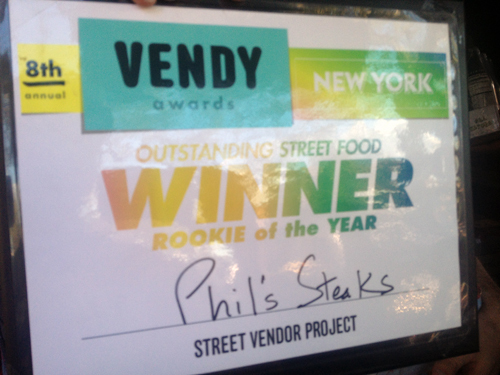 Phil’s Steaks is NYC’s 1st Authentic Philly Cheesesteak Truck Jawn. For those that don’t know, the word “Jawn,” is Philly slang – a noun that can replace just about anything and everything. We at Phil’s use it mostly as a name for our trucks that serve up hot Philly Cheesesteaks to the good people of NYC everyday. Copyright © 2012 Phil’s Steaks. All rights reserved.